Suitable for various material with a tendency of being hard or fragile, for the grinding of particle sizes from fine to medium – fine (30 micron – 1 mm). The grinding principle and the grinding chamber design are especially suitable for cryogenic grinding or cryogenic powder processing and tough material grinding at environment temperature. The material is fed between one fixed and one rotating disc or between two discs rotating against other with steel pins whose number, dimensions and positions to each other can be modified according to the actual requirements. Impact grinding without product classifying. The particle size is defined by the space between the pins and by the number of the disc revolution. Very often this mill series is used for cryogenic grinding. The material fineness is extremely accurate due to the high rotating speed of the disc. 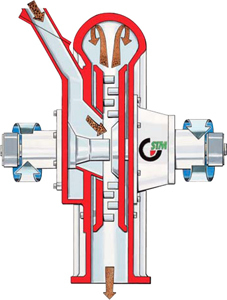 The spacious grinding chamber prevents any internal particle coating or a mill blockade when grinding material containing oil or grease or of tendency to stick. 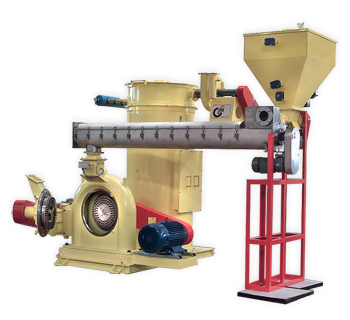 The device to adjust the operation parameters, disc rotating speed or direction, opens the possibility to adjust the grinding process according to different material and fineness. Interchangeable grinding disc, available of different design and material, with various grinding tools and surface treatment to satisfy specific requirements.